WHY we use the technology we do! The doctors who make the Lifetime Metabolic Weight Loss Program available to you use various types of technology for a very simple reason: to be as informed as possible in order to lead, guide and coach their clients the BEST way possible! There is so much more to you than just that “number on a scale”! That weight number alone does NOT tell the whole story. In fact, it lacks so much detail that it often creates confusion and frustration to the degree that people just quit! They quit weighing. They quit dieting. They quit exercising. They quit trying. All because that little scale in the bathroom (or even at the doctor’s office) just doesn’t make sense! Have you ever felt like that? Have you ever quit for reasons like these. Well, you’re not alone. Many (actually most!) of our Lifetime Metabolic clients have gotten more fully informed and empowered to better understand their body. We believe maybe you could too! Get an INITIAL BREAKDOWN of exactly what makes up those pounds you are weighing on your home scale. The BCA technology allows a determination of actual pounds of bone, muscle, water and yes, fat! This allows us to set realistic and healthy GOALS based on YOUR body make-up – specifically the number of fat pounds you may have. Look, if you are the same height as another person of the same gender and who has 20 pounds less muscle yet equal pounds of fat, you certainly may not want to be aiming for the same goal weight! Details like this make us believe that the ol’ height-weight charts are quite antiquated in many cases. Get a read of your VISCERAL FAT RATING. This kind of fat is progressively getting more and more attention – as it should. It is surely the most dangerous and damaging fat. It is different than that “pinch an inch” fat that you may have around your belly or on your “love handles”. Rather, visceral fat is the fat that forms deep inside around your vital organs. You can’t necessarily see it or feel it, but it is now known to contribute to a number of serious and chronic health conditions. Evaluate your Body’s WATER % and pounds to evaluate how well you are hydrating – very important in weight loss, metabolism and health overall. Remember: it’s not ALL about fat! Muscle and water weight should also be kept in check, too. Normal values of each allow you to maximize your metabolism and healthy weight management. TRACK progress at any stage of your weight loss and health journey. Tracking, evaluating and advising is critical whether we are closely observing changes during the initial intensive phases of a weight loss program or later as a client begins more fitness and may be gaining muscle mass. Measuring changes for the better in both the fat and muscle pounds helps us see that the body is, in fact, moving toward health – despite the fact that the ol’ home scale showing total pounds only may not show make sense! Good BCA units tell us even me than this, but this is a short list and understanding of WHY we do what we do – and WHY you, too, should consider getting more information about yourself. 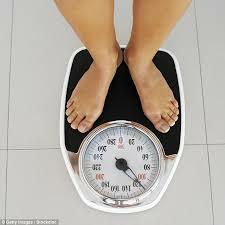 Don’t let the limited information on your ol’ bathroom scale mislead or frustrate you! To measure and see is to know! Don’t guess about you, your body or your weight loss approach! Come visit our office for your BCA today!